I'm only a week late in posting this, but better late than never right? All I have to say is that Cincinnati bloggers...they are pretty awesome. 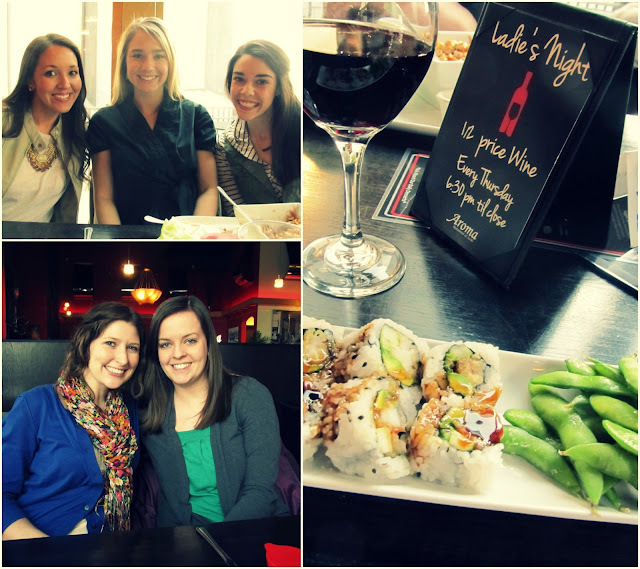 I met up with Erin, Katie, Sarah and Jax for Sushi and wine at Aroma and we acted like it was a usual thing. We talked about all the latest blog gossip or blogsip as Katie and Sarah would say, then we caught up on our "real" lives. I loved hanging out with these ladies and can't wait to do it again! Agreed! It was completely normally like we do that weekly. Love it. So good to see you again. P.S. Check out my spring beauty giveaway on See Mo Go.! It looks like you guys had a GREAT time! 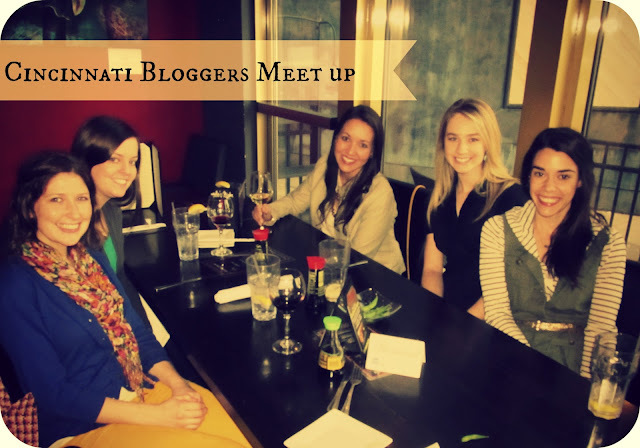 I wish there was more opportunity to connect with bloggers in my area. I guess I should just try to make it happen! Sounds like you guys had a great time! I love sushi, wish we had a place like that here!